The company sees itself doubling annually for the foreseeable future. The company sees itself with the potential of a five to ten billion dollar company over the next 3-5 years. The company is not going to raise capital for at least the next couple of years at this point given their current burn and current trajectory. Our number one Spotlight Top Pick Invitae (NVTA) beat earnings and raised guidance, again. But after our one-on-one talk with CEO Sean George, the story is clearer and yet more bullish. We added Invitae to Top Picks for $7.42 on 1-Sep-2016. As of this writing, the stock is trading at $13.53, up 82.3%. The fundamental thesis behind Invitae is two-fold. First, the broad theme of genomics and genetic testing is exploding. That is personalized medicine which is preventative or at least, early stage identification of disease risk so patients can get care in a timely fashion such that it will affect and improve outcomes. We investigate that theme further in the article. Second, the company itself has created a moat through its size, cost reduction, and technology, relationships with bio-pharma companies and its ability to get nearly 300 million people covered through their insurance. Yes. I'm confident that the next few quarters will answer for themselves. That's where our head set is -- there's a ton of growth in this business. When it comes to Sean's view of the company's future, he said he plans "to build a five to ten billion company over the next 3-5 years. I'd say that's exactly where we are going. The faster we can do that the better. It's very clear to us. That's the head set." We're not going to need to do anything [new capital] for at least the next couple of years at this point given our current burn and current trajectory. Invitae beat revenue and EPS estimates, raised guidance and has secured a large debt financing making cash burn less of a risk. The company brought cash burn to $18.1 million for the last quarter, executing on the team's plan to reduce cash burn by 40%-50% from Q1. * Revenue: $37.4 million vs estimates of $34.8 million, and above even the highest estimate of $36 million. * EPS: -$0.45 vs estimates of -$0.47. * Guidance: Revenue guidance was raised from between $135 and $140 million to between $140 and $145 million in 2018. Volume guidance was raised from more than 275,000 samples to more than 285,000 samples. And the second is operating leverage, which in English means, the ability to grow the company's top line without having to grow the cost side as much. Notice volume increasing as operating expense is virtually unchanged. Finally, here is a great 3-in-1 chart the company provided: revenue growth, cost per sample down, and gross profit up. Let us not lose sight of the broader goal for Invitae, to become the "Amazon of genomics." The company feels that the best way to build the future is a network of information managed on a patient in order to improve health care at a lower cost. That network provides value for everybody -- each patient that enters that network increases the value of that network for everybody involved. And in building that new business, building that new industry, the nice thing about going through the pain of all of this is once we build it and once we hit a certain scale, there is a network effect that will be put in place, where there will be no catching us. In fact right now we suspect we are already there. When I asked about growth looking forward for the next couple of years. Although the company does not provide guidance for that time period, Sean had said prior that the company would double annually for the foreseeable future. So, I asked if that was still the case. Yes. I'm confident that the next few quarters will answer for themselves. That's where our head set is -- there's a ton of growth in this business. We just grew revenue 95% year over year. There are levers we can pull when we consider the cash burn relative to the top line growth of the company which we are actively managing. We're as optimistic as ever in the future of this business. Cash burn has been a concern, that's what we addressed next. I thought we just demonstrated to everybody that we took financing overhang off the table. For the first ever in the eight plus years of the history of the company we make that decision without concern if we're going to need to raise equity. We don't need to raise money any time soon. That's really comforting. It's like a same store sale and a new store. The existing accounts, very few of them are 100% penetrated in the volume that we know exists. We can see our market share gain in our exiting accounts. And we can also get a sense for our existing accounts just how much they are growing inherently. There are accounts we are 100% penetrated and those accounts are also growing quite nicely. Finally, I asked Sean about a description of the company that included artificial intelligence and machine learning and then using that genetic research to create repeatable models to industrialize testing, with the goal of using that information to build an ecosystem serving providers, patients, and drug companies to develop solutions around the specific genetic diseases. That is a true statement. For the immediate future we won't trump up the AI / ML aspect of our work because, it would be a stretch to call us an AI company. We do use AI and machine learning to improve our processing and our interpretation, and that improvement is a key source of our cost advantage. [O]n building an ecosystem, yeah absolutely. Because we generate all of this data on a per patient basis and have a relationship with that patient and their clinician when we then work with pharma companies we do one of two things. The thematics behind the company are strong. This chart comes from Illumina, the hardware maker, and another Spotlight Top Pick. Even with that chart, this is so early, that last bar of "> 7M" is likely to look like one of those other bars before it as the new data comes out. This is rounding error, even today, with respect to what's coming. Or, I'll say it yet clearer, I think that bar will reach near 2 billion within 10 years. The global next generation sequencing market is forecast to grow from $4.15 billion in 2016 to $11.93 billion by 2024, or fully 187%. But that chart is not even half the market. In total, the global genomics market is expected to reach $27.6 billion by 2025. In fact, if we look at the totality of personalized medicine, that market is forecast to hit nearly $3 trillion dollars by 2022 and fully $340 billion for personalized medicine therapeutics and personalized medicine diagnostics. I feel that the company should categorize itself as a genomics-technology company - if it does not, Wall Street does not have the imagination to do it on its own. We've spoken about recurring revenue and a network model - which sounds a lot like a technology company, but we can also just be on the nose. At the end of June, we were able to leverage our technology infrastructure to introduce an industry-leading expanded carrier screen that we developed in less than three quarters. Better technology and economies of scale have pushed the average genetic test to $260 leaving the company nearly at its long-term stated goal of 50% gross margin percent, already. When Sean said, "this is going to be a winner take most industry," a part of that stems from the reality the getting payors (read insurance companies and Medicare) to just pay for the tests that have been delivered is actually a real sticking point. First, we start with lives contracted, which is a fancy way of measuring the number of people whose insurance covers the genetics test that Invitae provides, but this is from 2016. Putting both charts together we can see that this wasn't an overnight success, this was painful years of work, but Invitae has gone from less than 5 million lives covered to 203 million, in two-years. As of September 30, 2018, we have entered in to contracts for laboratory services with payers covering approximately 262 million lives, comprised of Medicare, most national health plans, and Medicaid in 32 states, including California (Medi-Cal), our home state. When insurance covers a certain firm, the collections start to move more quickly. Invitae's tests are basically covered for "all" people. 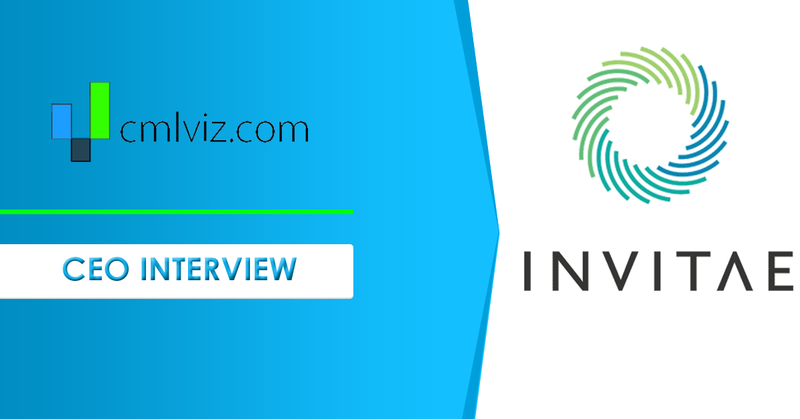 If Invitae is able to hit its goals of roughly $500 million in sales by the end of 2020, with an 80%-100% annual revenue growth rate, we are quite comfortable with a seven times price to sales ratio, which would imply a $3.5 billion valuation. That is entirely in agreement with Sean's broader view of a $5 - $10 billion in three to five years. With available cash and financing nearing $250 million and the comments from the CEO, we see no concern about further equity financing nor dilution unless it's years in the future at the urging of shareholders for more growth, not due to an inability to turn cash flow positive. We must discuss risk -- it is incumbent upon all of us to understand the risk in any investment. 1. Execution is a risk: While the company has lofty goals, there is competition from small, little heard of firms. Invitae has a powerful technology that is growing very quickly, but $140 million in revenue is hardly a flag stuck in the dirt for assured growth. 2. The stock price could whip around at a schizophrenic rate. This is a risky investment, with a very long-term view forward, which at the same time requires some babysitting in the near-term (that's our job) to make sure the company is hitting its goals. InVitae Corp (NYSE:NVTA) is a risky investment. But signs are pointing to the potential of a giant win. You can guess, or you can speak with top level executives. The author is long shares of Invitae at the time of this writing. Legal The information contained on this site is provided for general informational purposes, as a convenience to the readers. The materials are not a substitute for obtaining professional advice from a qualified person, firm or corporation. Consult the appropriate professional advisor for more complete and current information. Capital Market Laboratories (“The Company”) does not engage in rendering any legal or professional services by placing these general informational materials on this website.